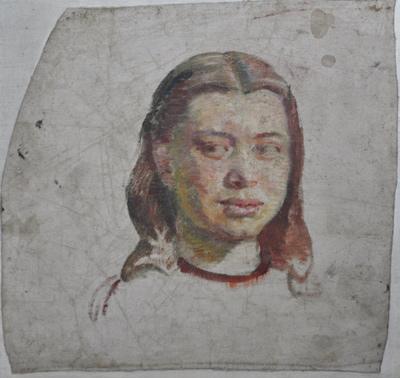 In some works from this period Murch used egg tempera (using the yolk of an egg in lieu of oil). The White Calf and The Aeroplane – show the influence of time spent studying in Europe. One can see the influence of Italian Primitives, the Pre-Raphaelites and Baroque Arcadians. They are very personal subjects. 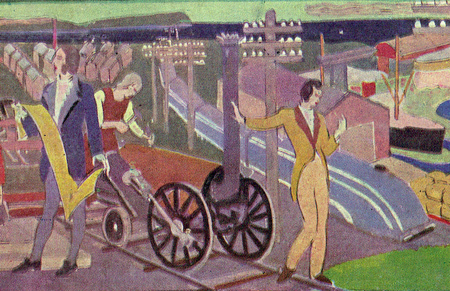 In The Aeroplane – Harvey is the model for the kneeling man and Murch’s cousin Aileen Cripps modelled for the woman. 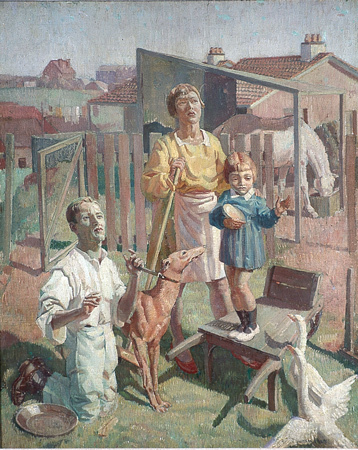 The domestic scene is set in the backyard of Arthur’s grandfather in Croydon; the gazes of the adults are drawn skyward by the sound of an unseen aeroplane while the child is busy feeding geese. Gives sketching lessons at his studio in Halsbury House, Queen’s Square. Conducts meetings with Professor Radcliffe-Brown at the Five Arts Club in a building adjacent to Burdekin House. Spends time in Thirroul. Harvey, Murch and architect Frank Malony make toys and soft furnishings. Arthur wrote an article for Art in Australia (August 15th 1932): Felt Applied to Interior Decoration. This link includes comments by Michelle Murch from May 2017. Meets Professor Whitridge Davies, professor of Physiology at the University of Sydney who arranges for Murch to use the Medical School resources for the study of anatomy. Early in 1933, accompanies Professor Whitridge Davies and a medical investigative team travelling on camel-back in Central Australia. Other members of the team include: John Antill Pockley , Hugh Barry, Maurice Joseph. More details of the trips: The Red Centre Ria Murch Arthur Murch – An Artist’s Life 1902-1989, Ruskin Rowe Press 1997 and at the website Flight of Ducks. See portraits from this period. Second trip to Central Australia with Professor Davies for three months. Murch ran out of petrol crossing the desert in his car. He walked for two and a half days to seek help. Filmed B&W movie film with 35mm hand-cranked camera. The film was screened around Victoria to raise funds for a water pipeline for Hermannsburg Mission. 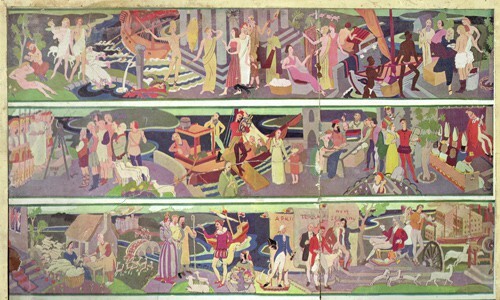 The film is silent and is in the collection of the National Film and Sound Archives. Second solo exhibition of Aboriginal subjects and Central Australian landscapes, held at the Fine Art Society’s Gallery, Melbourne. The 1934 portrait of Professor Harold Whitridge Davies is in the collection of the University of Sydney Art Museum. Met Lelia Suleau. The portrait of Suzanne Crookston won the NSW Society of Artists’ Medal for the Best Painting of the Year. It is now in the Art Gallery of NSW. Murch modelled bust of Archbishop Kelly. He took the model with him to Europe in 1936. Bronze cast made in 2010 is now in the National Portrait Gallery. Leaves in May for second European trip, travelling with Lelia Suleau on board P&O ship Orama. In London – works in engineering workshops and at the GPO Film Unit when Alberto Cavalcanti was Acting Head. 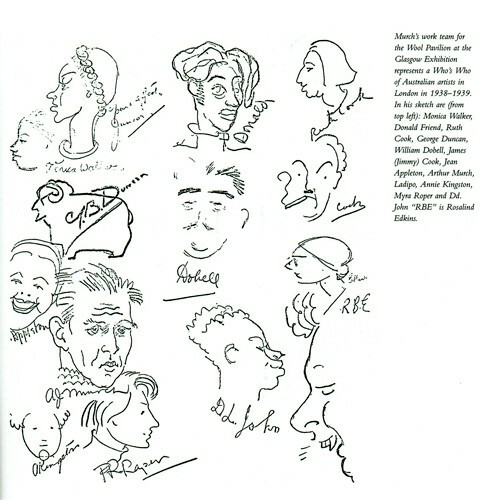 Murch designed puppets and worked uncredited on various projects. This experience was influential. Murch sent paintings back to Australia for exhibition and sale at the Macquarie Galleries and NSW Society of Artists. A significant painting from this time is Leda. Letters home are in the AGNSW archives. Ria Murch has summarised correspondence back home to his family. 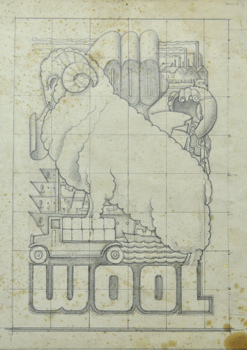 December 1937 – Arthur won the commission to design the Australian Wool Pavilion for the 1938 Empire Exhibition in Glasgow. The C.S.I.R.O had commissioned the work, having been recommended for the job by his friend Hedley Marston. This was a huge job and timely employment for many Australian artists living through the depression years in the UK. 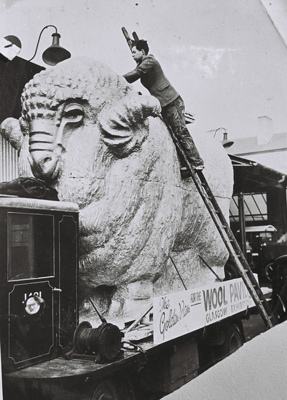 Work on the 1938 Empire Exhibition – the project was administered by George Duncan and more than 20 artists were engaged in the construction of a 140 foot long mural of appliquéd felt and a huge gilded plaster ram on an external tower. 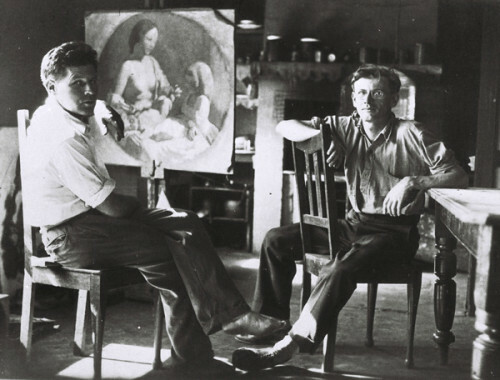 Artists employed included: William Dobell, F.H. Coventry, Janna Bruce, Barbara Tribe, Jean Appleton, James (Jimmy) Cook, Amie Kingston, John Santry, Dennis Adams, Gordon Andrews and Donald Friend. Murch’s painting Leda exhibited at the Royal Academy of Arts, London. Murch and friends travel on the Romolo for Australia, the last merchant ship to leave Italy before the declaration of war. On board are the staff and dancers of the Monte Carlo Ballet Russe. September – The Romolo arrives in Sydney. December – The Monte Carlo Ballet Russe commences its season at the Theatre Royal in Sydney.